Set in the heart of the tranquil rolling French countryside of the South Vienne, Western France near to the historic city of Poitiers, lie the cluster of attractive stone built buildings known as La Logerie. Set in 16 acres, a small tree lined stream meanders its way through the grounds providing a cool and pleasant retreat from the sun. Take a dip in the impressive 12 by 6 metre pool with its spectacular views over the surrounding countryside, relax in the luxury hot tub/spa or for the sun worshippers, simply lounge by the pool side or on your own private terrace. To complete that perfect day perhaps a barbeque in the evening with a glass or two of the local wine. The area is ideal for walking and cycling and within easy reach is the River Vienne for water activities, and the town of Poitiers, Cognac and the coast. The pretty village of Mauprevoir is 2Kms away. A small well stocked supermarket, boulangerie, pharmacy, post office and bar combine to make the village so evocatively rural French. Please see our website for more details. Welcome pack milk, juice, butter, cheese, jam, bread, water, wine. We'd had a really stressful start to our holiday due to an owner double booking the property we had booked. There was a group of 9 adults and 2 children and we had to find somewhere quick. Luckily we found this place and could not have been happier with the place. 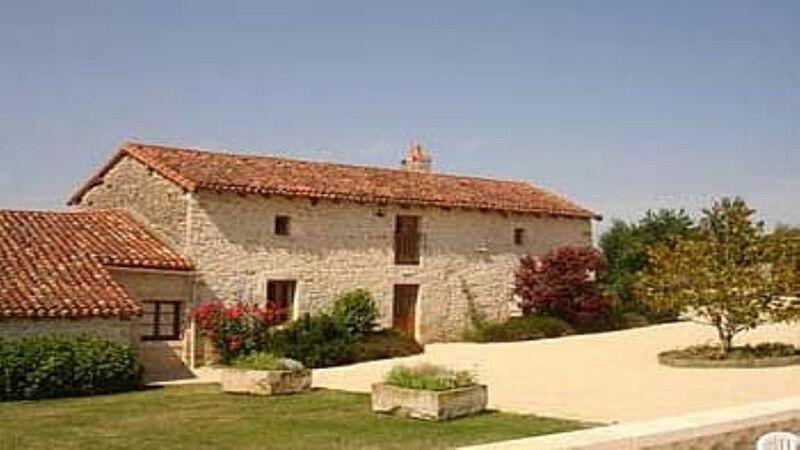 We took all 3 gites for the week but as they are separate the place can cater small or large groups. Brian and Jill were the perfect hosts and have thought of everything you could need to make your holiday perfect. There's the best kept pool, a hot tub, table tennis, table football, a barbeque and also fresh baked pastries available delivered to your door (which Jill makes and they are incredible!). The care and love that Brian and Jill put into the properties and grounds really shows. There's even a small tourist bureau behind one of the doors. The area is tranquil and relaxing with lots of villages to explore and beautiful French countryside. The place caters really well for families too with a playground for children and lots of animals to spot (including a barn owl). The gardens are just beautiful too. Brian and Jill are so helpful and knowledgable about the surrounding areas. We had an amazing week and I would highly recommend this place. We have just returned from staying at Camellia Cottage at La Logerie. A beautiful place, full of character, great on site facilities for young and old. Great pool and plenty of space around to play. The children loved the animals, and feeding the chickens. The area has plenty to do within a short drive, the swimming lakes are great. Brian and Gill make your stay very welcoming and are there to help with anything. We would consider returning in the future. Thanks so much for your lovely review. We are so pleased that you enjoyed your holiday with us and all that La Logerie has to offer. We would love to welcome you back again hopefully in the not too distant future. Had a fantastic holiday. Camellia cottage is lovely and has everything that you could wish for and more. It's a real home from home, fully equipped and spotlessley clean. The facilities are great and we loved the pool and hot tub. There's also badminton, table tennis, volley ball and table football if you can bear to tear yourself away from the pool. The kids loved the play area and the trampoline and they also loved making friends with and helping feed the animals. the 3 little sheep, the horses, donkey and the cheeky chickens. There's also loads to do in the area and we had a great day out at Monkey Valley which we would definately recommend as it's great for all ages. We also went horse riding and kayaking which was also a big hit with all of us although we did walk a bit funny for a few days after the horse riding. Brian & Gill are great and more than happy to help with anything should you need it. We will be definately be recommending La Logerie to all our friends and we hope to return next year so we can do all the stuff we didn't have time for this time. Thanks so much for your lovely review. We are so pleased that you all enjoyed your holiday and the kids loved the animals. It was great having you stay and we look forward to welcoming you back next year. Had the pleasure of staying here for 2 weeks with our teenage children. Cottage was fully equipped with everything you could possibly want or need. The welcome basket was very much appreciated. There was a library full to bursting with leaflets on things to do and places to see so we where never short of things to entertain. Pool was fantastic, just a shame our first week was a bit drizzly so we couldn't take full advantage. But thoroughly enjoyed playing ping pong and the Jacuzzi. We ate at all the recommended restaurants which where all lovely. Thank you Brian and Gill for a great holiday. So pleased you all enjoyed your holiday, our facilities and our restaurant recommendations. Sorry about the weather not being at it's best for your first week. This is very unusual for July & August here, it's usually that hot and sunny that we struggle to keep our plants alive and watered. Glad it picked up for your second week though and we hope that maybe we can welcome you back to La Logerie again sometime in the not too distant future. AMAZING PLACE beautiful cottage well equipped inside and out. The owners were so helpful and welcoming. kids loved volley ball and the pool . Thank you so much for your kind review. We are delighted that you all enjoyed your holiday here at La Logerie and we both hope that we will see you back again soon.